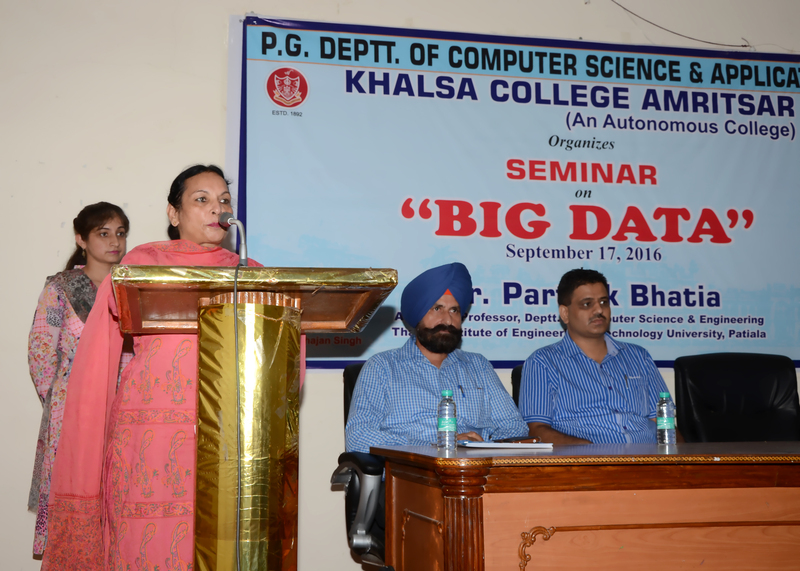 P.G Department of Computer Science and Applications of Khalsa College ,Amritsar organized seminar on “BIG DATA”. 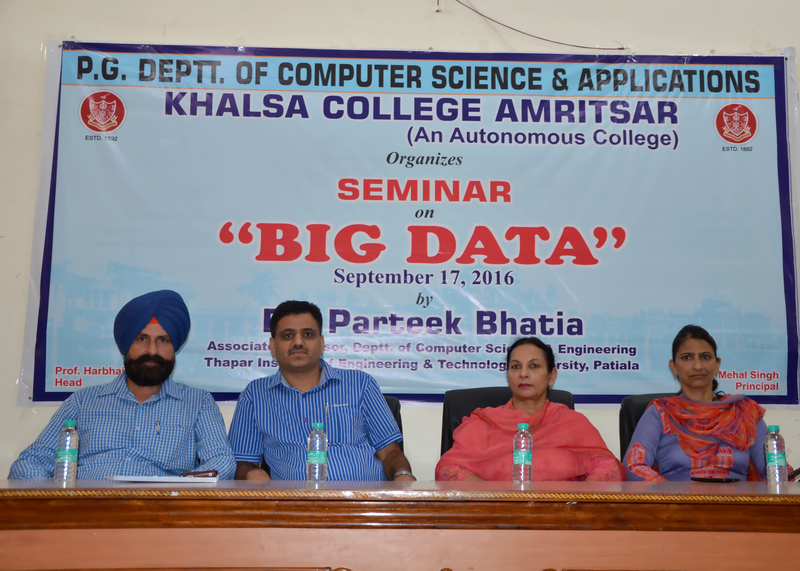 Dr. Parteek Bhatia, Associate Professor, Department of Computer Science & Engineering at Thapar Institute of Engineering and Technology University, Patiala delivered lecture on “BIG DATA”. He discussed various challenges, opportunities and technologies used in Big Data. He said that Big data is all about 4V’s-Volume, Variety, Velocity and Veracity. As the amount of data is increasing day by day because of internet so there is a need to process such huge amount of data. At the end he discussed the future of Big data. Prof. Mrs. Naveen Bawa ,OSD, Prof. Harbhajan Singh Randhawa, Head Computer Deptt., Dr. M.S. 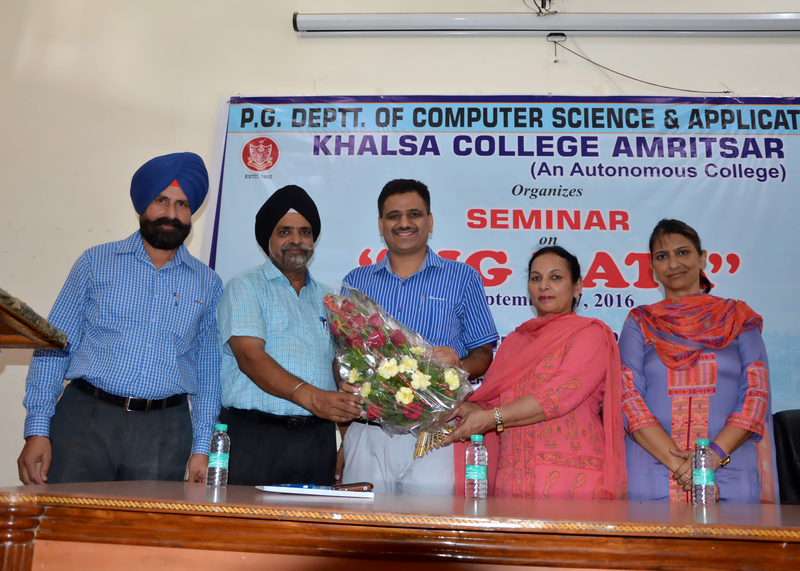 Batra , Dean Sciences, Prof. Kawaljit Kaur gave floral welcome to Dr. Parteek Bhatia. Prof. Mrs. Naveen Bawa, OSD, Khalsa College Amritsar welcomed Dr. Parteek Bhatia on the behalf of Dr. Mehal Singh Principal, Khalsa College Amritsar. She encouraged students to participate in academic as well as non academic activities. 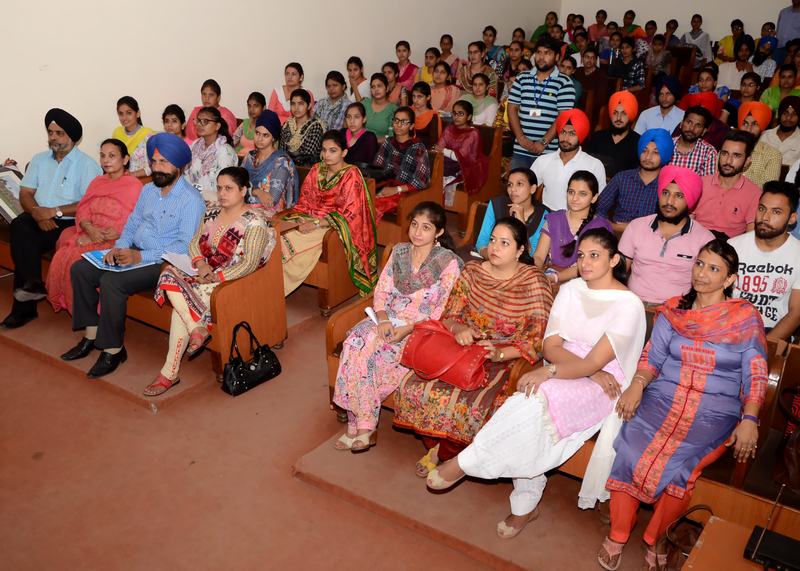 She congratulated Prof. Harbhajan Singh Randhawa, Head & Faculty members of Computer Science Department for arranging such lectures. At the end Prof. Harbhajan Singh Randhawa, Head, Computer Science department gave vote of thanks. During this event Prof. Kawaljit Kaur , Prof. Sukhpuneet Kaur, Prof. Prabhjot Kaur and Prof. Ravi Patni were also present.